Thank you for listening and supporting The Space Show/One Giant Leap Foundation over the years. We are now engaged in our annual campaign which will determine The Space Show programming for 2019. Please let me remind you that it is your financial support that keeps The Space Show on the air and growing. Simply put, without your support, The Space Show will have to scale back its programming or worse. Each year our production costs rise so just to stay even your financial support becomes more important than ever before. Your financial support enables us to continue with our programming schedule and to continue making our copyrighted content available for free. Don't forget, we never take fees from guests to be on the program, even when we are helping a guest promote his/her books, movies, newsletters, or intellectual property of all kinds, including unique ideas and theories. 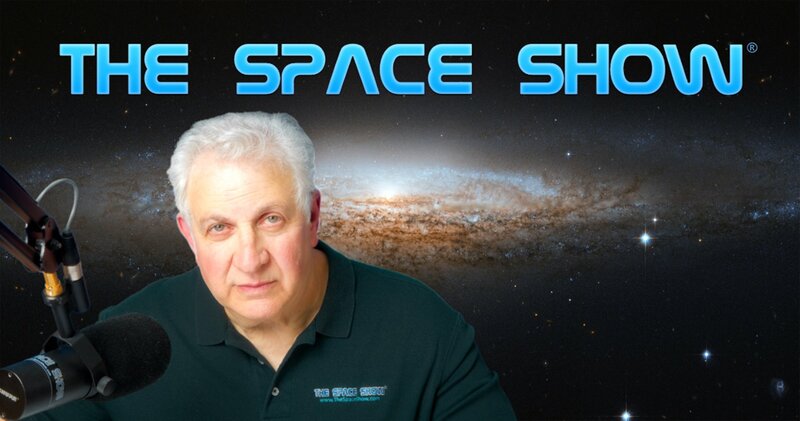 In summary and to be blunt about it, The Space Show needs your financial support. The Space Show is a non-profit 501C3 and California Public Benefit Corporation. Our parent 501C3 corporation is the One Giant Leap Foundation (OGLF) (www.onegiantleapfoundation.org). We understand that you have choices in making your tax deductible contributions and we certainly appreciate your including us in your gifting priorities. Contributions to The Space Show should be made through Pay Pal or if by check to One Giant Leap Foundation. Mailing and Pay Pal instructions can be found by clicking on Pay Pal on the right side of our home page, www.thespaceshow.com or by clicking on the OGLF page, www.onegiantleapfoundation.org/individuals.htm. They are also provided below. In addition, we are now renewing existing and seeking new corporate and/individual sponsors for The Space Show. Sponsors gets a banner ad on The Space Show home page plus I read a 60 second or less sponsor message on each full length Space Show program. On the 60 minute formatted program, I thank each sponsor by name but do not read their message to allow for more talk time with the guests. A sponsorship is $500/year. Please email me at drspace@thespaceshow.com if you are interested or want more information. Sponsorships are limited as to avoid excessive cutting into guest talk time with sponsorship messages. Besides being a sponsor, we have revamped our One Giant Leap Foundation Advisory Board. If you are interested in becoming an Advisory Board member, please read the new guidelines at www.onegiantleapfoundation.org/advisory-board.htm. Please contact me if you are interested in being part of our Advisory Board. We are looking for listeners willing to be involved with the program, willing to provide feedback, and to financially support the show. Remember, as a 501C3 nonprofit, you get a tax deduction for your gift if you pay U.S. federal taxes. The same is true for those of you paying California taxes as we are both the federal 501C3 nonprofit corporation and a California Public Benefit Corporation. Please check with your tax adviser regarding any and all tax questions that you might have regarding potential OGLF tax deductions. You are also encouraged to contact me with your questions and comments about the show or anything else. Above all, please support us. 2018 is quickly coming to a close so now is the time to support The Space Show/OGLF by making your Space Show contribution. As a final reminder, you can make your donation online using Pay Pal per the above links (or click on the Pay Pal logo on our home page). For those of you who prefer mailing a check, please make your check payable to One Giant Leap Foundation, Inc. and mail it in care of me to P.O. Box 95, Tiburon, CA 94920 USA. As I say on most shows, your donations and support are what keeps The Space Show on the air. Thank you for your contribution, ongoing support and for listening to The Space Show. I look forward to sharing the New Year with you through The Space Show and One Giant Leap Foundation, Inc. Please contact me at drspace@thespaceshow.com if you have any questions. Let's all work to make 2019 a banner year for space, prosperity, health, and peace around the world. Please Support The Space Show. We Thank You.